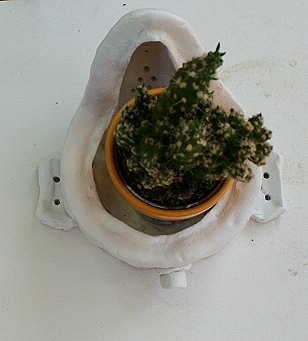 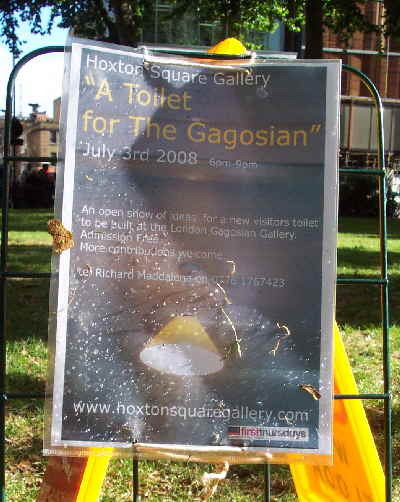 "A Toilet for The Gagosian"
An open show of ideas for a new visitors toilet to be built at the London Gagosian Gallery. 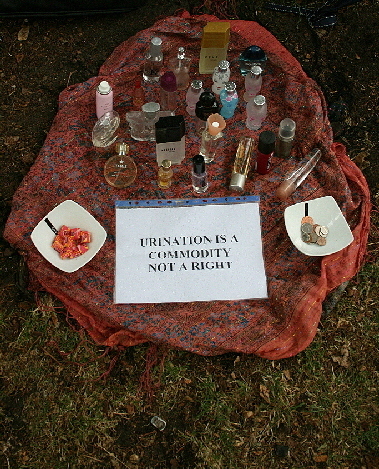 Artists! 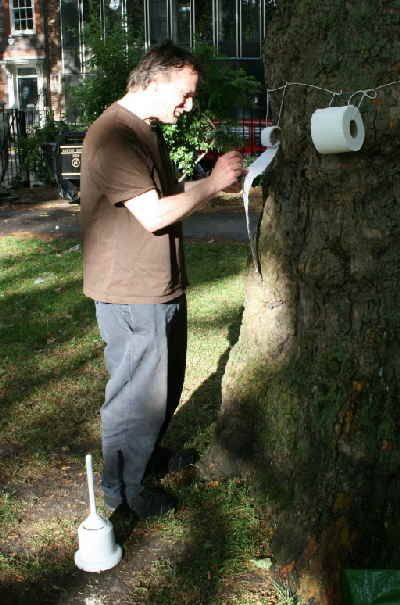 Bring yourselves to Hoxton Square London N1 or your nearest public space any where in the world and show your work.